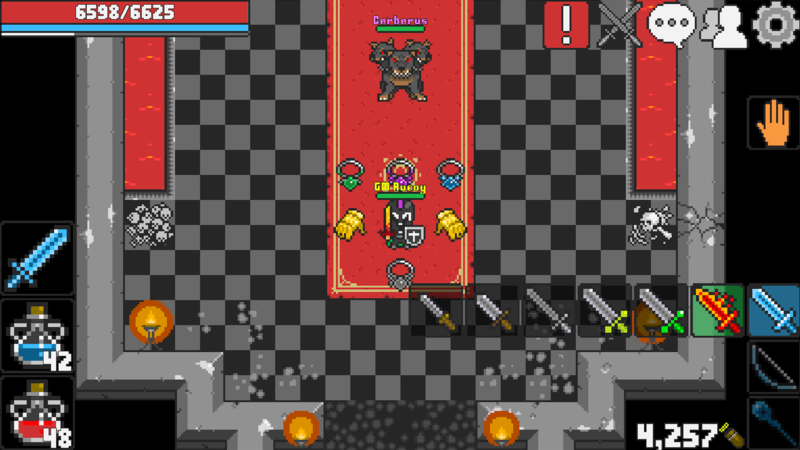 A new permanent boss ‘Cerberus’ has been added, strongest boss to date. 6 new ‘endgame’ items have been added, as well as uncommon (green background) and rare (blue background) versions of the Lizard’s, Dragon’s and Frozen’s armor sets. 3 new animated weapon outfits have been added, 1 for each class. You can now quickly change weapons by tapping a second time on your class selection button, the last 6 weapons in your inventory of the selected class will show up, if you have 2 or more of the same weapon only 1 will be shown. Guilds system is finally coming to Rucoy Online, you will be able to create a guild with up to 500 of your friends, proudly show your guild name on your character screen and talk to your comrades on the new 'Guild' chat, no matter which server they are playing on. Creating a guild has a cost of 900 diamonds (Non-refundable). You must logout from the game before guild creation. The guild name must consist only of letters and one space between words. Names must have a minimum of 5 characters and a maximum of 25. Guild names can't be changed after creation. Guilds with names (or descriptions) that contain offensive words (insults, racism, sexually related, etc), advertisement of products or services not related to Rucoy Online, that encourage rule violation, and/or pretend to be part Rucoy Online development team are subject to be disbanded without notice and without a refund. To create or join a guild you will need to visit the guilds page. We've decided to release a new site for everyone to follow along with the latest news about Rucoy Online. In the first version of the site you can view our news and the global highscore. You can view the ladder here. We've many more things planned for this website (like guilds), this is just the start. Offline stores, new zones for teams and more! To place an offline store stand on one of the store spots in town, click the new icon that appears on the right top corner of the screen, select the amount of hours you want the store be on and press ‘Deploy’. To use the offline store you need to spend 1 diamond per hour you want to be selling items. You will be charged at the end of each hour. You can be in offline store mode for a maximum of 12 hours straight. You will be removed from offline store mode when the set amount of hours passes, or when your character sold all of the items, or when you ran out of diamonds. If you reconnect in the middle of an hour you won’t be charged those minutes, instead that fraction of hour will be taken into account the next time you enter offline store mode. Vampires, Drows and Lizards now have new zones that can only be accessed by a group of 3-4 players. 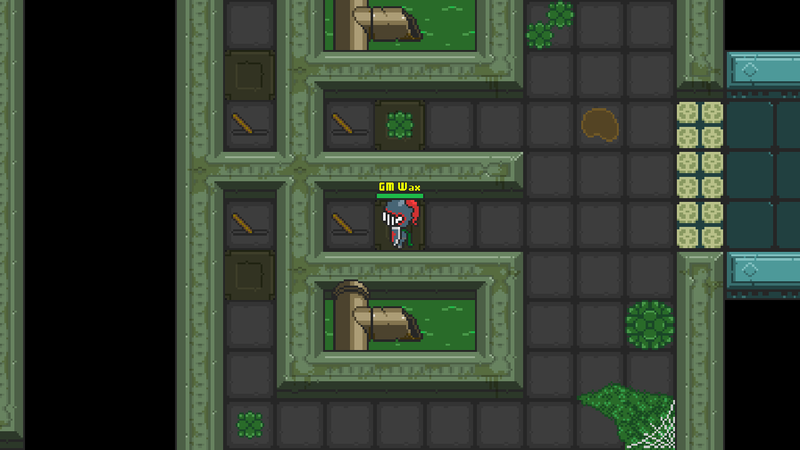 To access 3 players (4 for Lizards) have to pull 3-4 levers at the same time (one each). All players inside the levers room will be teleported inside the respective new zone. To exit you need to find the teleport at the end of the zone. Inside this new zones you can’t use teleport scrolls, disconnect or change servers. Inside this new zones monsters have a 6 times higher probability of spawning as elite monsters. Monsters inside this new zones are able to deal damage to all players no matter how much defense they have. Of course monsters will need a lot of time to kill a player with a really high defense. Added 3 new helmet outfits, designed by ‘Scaranoyze Bdjl’. You can now increase the size of your friends list (30 spaces for 300 diamonds). You can now increase the size of your vault (40 slots for 400 diamonds). The health of bosses has been substantially increased (10 to 30 times). Skill rings +10 have been renamed to ‘Superior [Skill] Ring’ and now have different sprites by ‘Scaranoyze Bdjl’. New Assassins zone and new Assassin monster added. New 4 direction animations have been added for crows and assassins, we will be adding new animations for more monsters in small client patches, a new pixel artist joined the team.